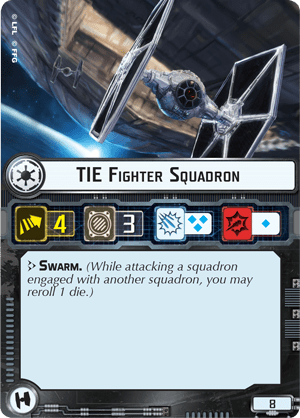 Squadrons are an crucial part of virtually every game of Armada. Weather you are going heavy on squadrons, light on them, or focusing more on dealing with enemy squadrons, they are something that every build needs to consider. 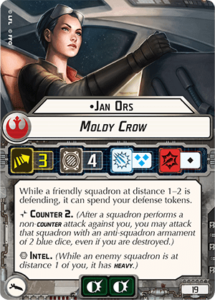 In this article I’m going to talk about some of the cornerstones of a squadron build. The first thing you need to do is figure out an overall plan of what you are trying to accomplish by adding squadrons to your fleet. This will help guide how many you need to add, what keywords you’ll want to include, and what overall point cost you should be shooting for. One common strategy is to bring some bombers. Bombers are most effective at hurting your opponent’s ships, but they tend to be weaker when compared to enemy fighters, so you’ll want some supporting squadrons as well. You may want to consider some Escorts, for example, which will increase the number of squadrons you’ll have to bring overall. Bomber-Heavy builds tend to usually run alot of squadrons and push very close to that 134 point limit. 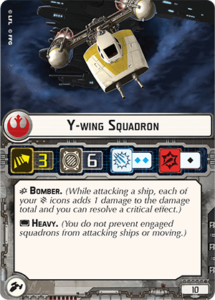 Perhaps you only want to bring a few squadrons, merely to help slow down your opponent’s squadrons from hurting your ships. 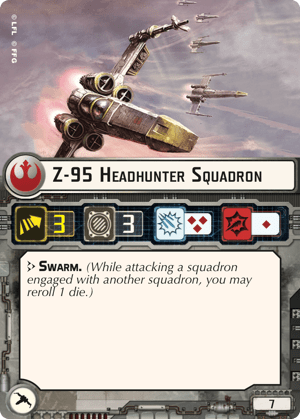 A handful of TIE Fighters or Z-95s will usually do the trick, but you’ll generally want an even number, since you’ll get more of a deployment advantage by having multiples of 2. In these cases it can be a good idea to bring at least 2, but perhaps even 4 or 6 if you want a more versatile fleet. Once you have a plan you’ll want to make sure your selections match up to the rest of your fleet’s capabilities. Make sure that your ships can actually activate your squadrons. You wouldn’t want to have only Arquitens, or CR-90s and also have 12 Squadrons to support. Ideally you’ll want to have your carriers, (generally ships with higher squadron values) be able to activate nearly all of your squadrons if they all performed a squadron command. 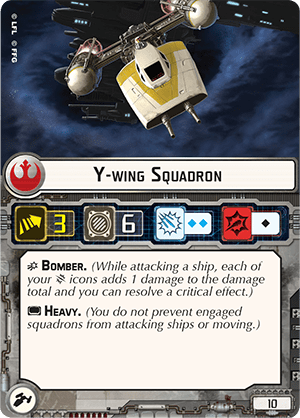 If you aren’t running carriers, you could also consider running a pair of squadrons with the Rogue keyword, which wouldn’t require squadron commands. You may also want to add some upgrades to your fleet that enhance your squadrons. 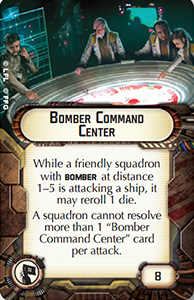 A Bomber Command Center staying near your bombers can have a tremendous impact on your offensive capability. 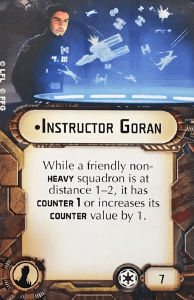 Similarly, adding Instructor Goran to an Imperial Fleet that also includes Dengar, can have a very high boost on your fighters’ ability to counter attack. 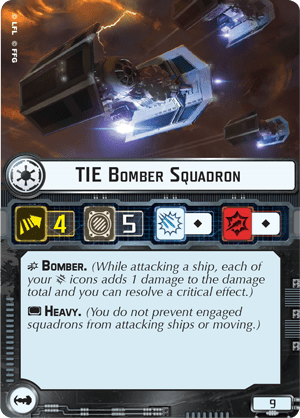 Adding a variety of squadrons to your build will greatly enhance your flexibility and allow you a greater chance of overcoming most fleets that you face. Any fleet that has for example, only bombers, might suffer due to their lack of offense to other squadrons. 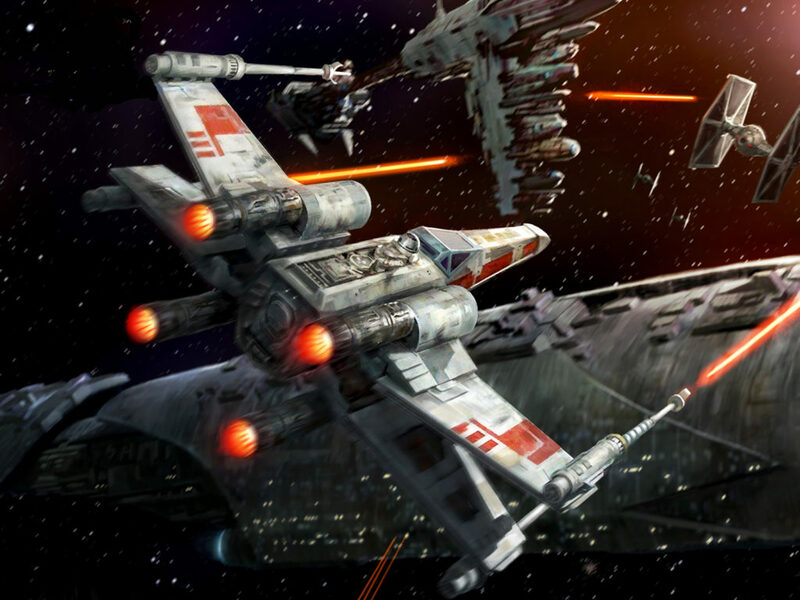 Any fleet without even a small squadron force, won’t have much to defend against a swarm of enemy squadrons and will quickly face what is often known as “Death by a thousand cuts”. Intel is one of those keywords that really gives you tremendous flexibility, in that it can prevent a single enemy from locking up your entire squadron force. 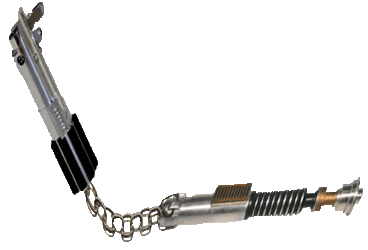 It helps bombers attack ships and avoid interruption, and keeps your fighters mobile. 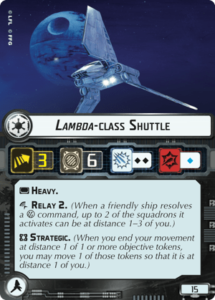 Relay is another keyword that gives you the ability to stretch your squadrons further away from the safety net of your ships. Adding multiple keywords to your fleet allows them to stay flexible and effective. Most of the time it is best to include even numbers of squadrons, due to the fact that you deploy them in groups of two. If you have enough squadrons, you can out-deploy your opponent and delay your important ships until the end. This is known as Deployment Advantage. Deploying 2 squadrons, in place of a ship, is one of the biggest advantages in the early game, and it’s a mistake that many new players tend to make, by forgetting their squadrons until the end. 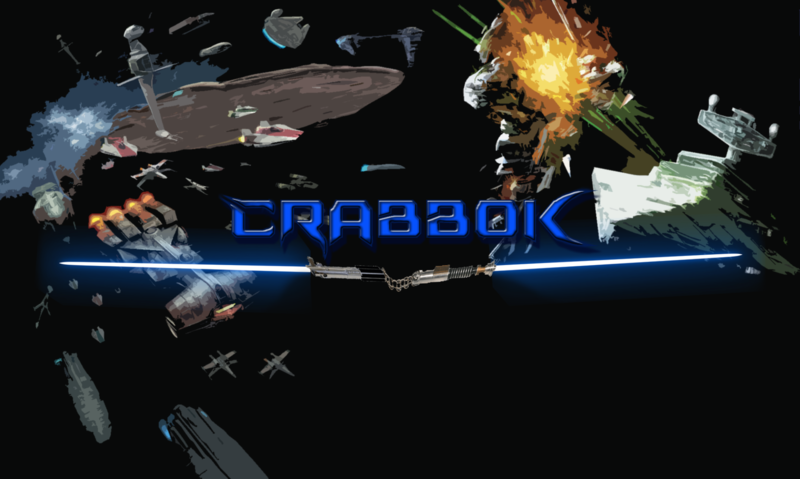 It is almost always best to save your biggest ships until the end when you deploy, and taking larger amounts of squadrons allows you to delay your ships, gives you intelligence on where your opponent is deploying, and allows you to protect your valuable ships. If you are interested in more information on how squadrons can influence deployment and give you deployment advantage, check out this video demonstration!